Are your home or office interiors looking dull and shabby? If yes, NKN Professional Painting Ltd. is here to serve you. Over the years, we are helping residential and commercial clients in owning stunning and modern looking interiors with high quality interior painting service in Edmonton. We realize the importance of having impressive interiors and strive to make your living space better than ever before. 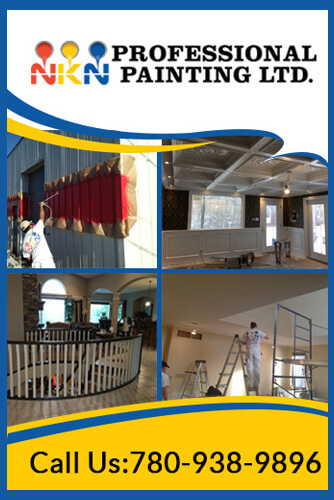 With a team of licensed painters and superior products, we pride ourselves on delivering top-notch interior painting. Our Expertize & Professionalism Says It All! When it comes to new house painting, making the right color choice is one of the daunting decisions to take. With NKN Professional Painting Ltd., you need not have to worry about the decent color match as we offer free color consultations to each of our clients. We’re happy to sit down and consult with you about the paint pattern that will work the best for your interiors. Right from color schemes to ideas, our painting experts will help you find the perfect colors that complement the exterior appeal. High quality paints and supplies. Before project preparation and clean-up. Licensed and insured painting contractors. 100% customer satisfied painting job. Absolute professionalism at all levels.